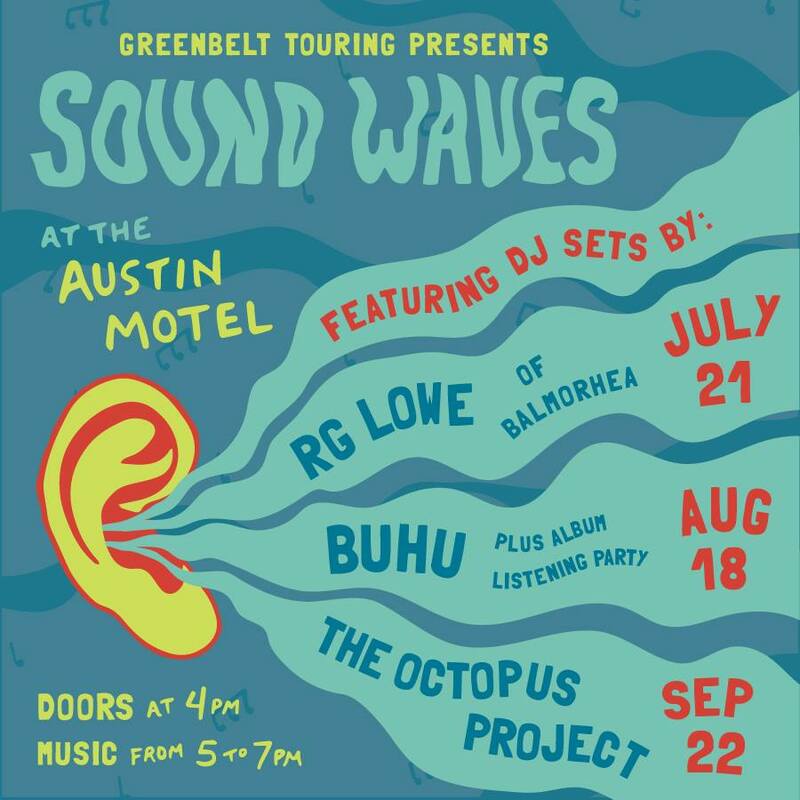 Swing by and enjoy a poolside DJ set by BUHU and a listening party for their debut studio album, Tenets, at the Austin Motel! Sound Waves is presented by Greenbelt Touring. RSVP with On Vinyl Media for the chance to win a test pressing of Tenets and pair of tickets to BUHU's album release party at Barracuda Austin with Summer Heart, Bee Caves and Lunar Gold. Local Music for Local Business. Copyright © 2018 On Vinyl Media Group, LLC. All Rights Reserved. All photos were taken by Renee Dominguez.